If the feeling of fluffy, fresh towels has disappeared, your towels seem to retain the smell of damp, or the material has become rough, then you’re at the right place. Here are some simple instructions on how to properly wash your towels and keep them soft for as long as possible. 40° is best for darker towels, to prevent them from fading. Wash towels separately from the rest of your laundry. If your towels aren’t cotton, avoid temperatures higher than 40°. *if you don’t have a cotton program on your machine, use the ‘White/Colors’ cycle. If you use our laundromats, dry your cotton towels at high temperature in the dryers provided for this purpose, but not for more than 5 minutes. Excess drying could damage the fabric. Dry clothes preferably in a well ventilated room and avoid direct sunlight (which would stiffen your towels). 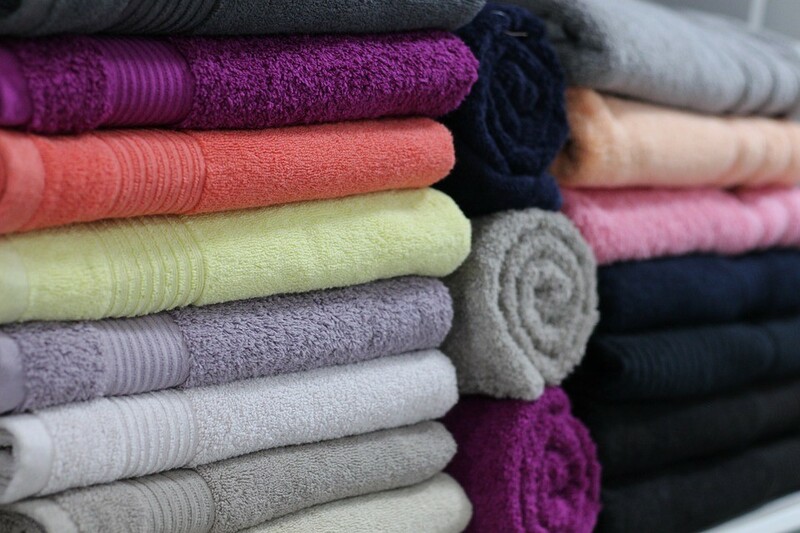 If your towels are linen or feature a decorative strip, dry them in the open air or in the dryer at a low temperature. Wrapping yourself in a rough towel isn’t nice: the following tips will help you to retain the towel’s original softness. If it is very damaged, you’ll have to buy a new one. To prevent limescale deposits in the water supply and the fibers of your towels, there’s nothing better than adding a little household vinegar or bicarbonate of soda to your wash. Add it directly to the drum or to the tray where the detergent goes. Of course, adding softener to your washes is highly recommended, to make the fabric as soft as possible.